In the 14 years that I previously lived in Japan, the only place I never felt the eye was in some of the Southern Ryukyu Islands, so I said bugger it and moved there. Not there now, but bought a block of land and will be back for retirement. 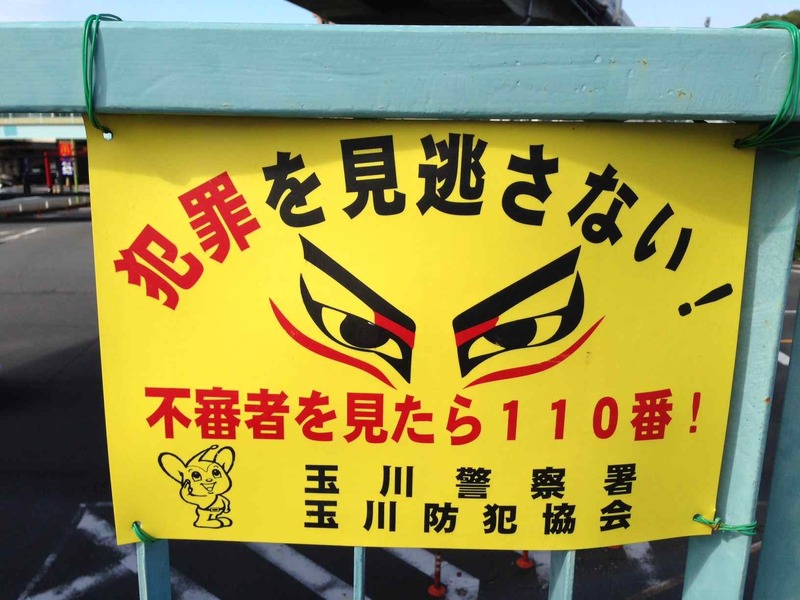 Yes, the death of the various Okinawan languagtes (I refuse to call them ‘dialects’) due to Japanese colonialism, was a complete debacle, but somehow I found that the spirit of the Okinawan people lives on, even though they themselves face oppresion and ridicule in naichi mainland Japan. This colonialism is also an unfortunate and underplayed aspect of my own non-Asian country in its contemporary dealings with other Island neighbours. Southern Okinawa (I am deliberately being relatively vague), remains to this day, the only place in Japan where I felt truly welcome and at home. Whilst I’m not religious I can find no better words than to say god bless the Southern Okinanawans, and long may they live and their culture and language recover yet again. 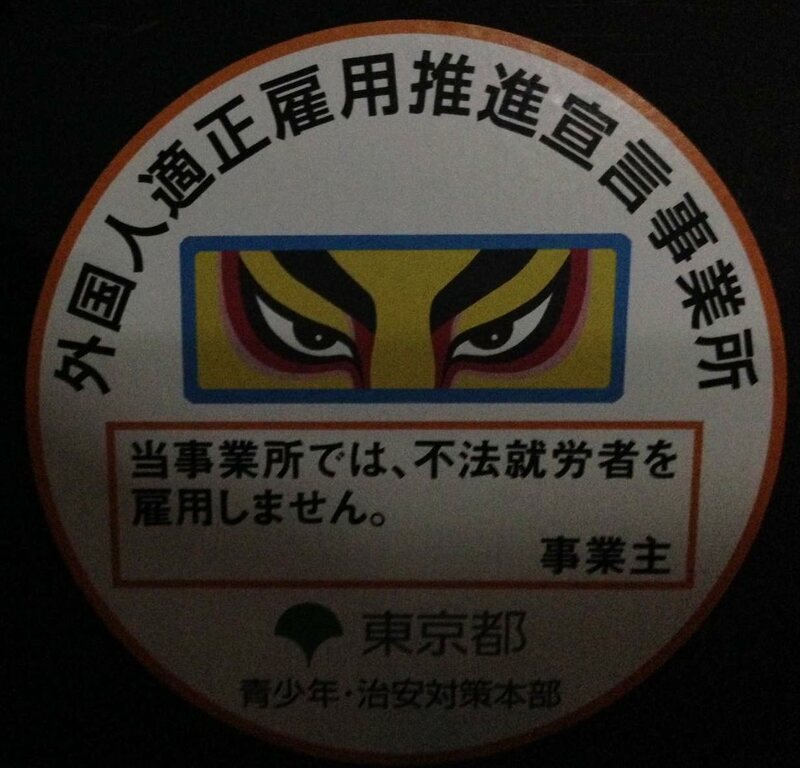 I’ve heard of this although in Japan it’s commonly referred to as “the eyes of country are upon you” or something. I’ve always thought of it as a big brother type of social control (control through intimidation and the like). I knew Japanese had weird fascination with foreigners but going through their garbage? following them around? Last I heard that was called stalking. hey Johnnie, can I rent a house from you in Okinawa? Seriously. I want to move there. (if Debito doesn’t mind us getting in touch). Its arguably the only place in “Japan” with an open mind about “foreigners. But then Okinawa is not really “Japan” per se, as it used to be an independent kingdom. But even before 2000 or so and the resurgence of the revisionist Right, I used to love (actually feel sick) at the knee jerk reactions of your average Tokyoite when I had the “cheek” to suggest how unique Okinawan culture was. Or how Scotland in Britain is like Okinawa in Japan, i.e. a different country within a state. To which I invariably got the Borg-like, monotone statement: “Okinawa IS Japan”. A clear case of post 1972 re branding, if ever there was one. Never mind the UN census that identified and where Okinawans self-identified as “Okinawan”. I was even challenged on the use of the adjective “Okinawan”- “Hmmmph@! IS that even a word?” said one disgruntled housewife. But I could then defend myself by saying that in English We Westerners appropriate loan words and change them (a bit like a certain other country, but the irony was wasted) e.g. Osakan, Tokyoite, etc. But this raised eyebrows. Conservative Japan wants to control the narrative, even the English grammar of how they themselves are described. This was when I started to get disillusioned with the average Taro’s lack of internationalism if it meant internationalism within Japan, or decentralizing control just a little bit. Mainland Japanese- like mainland Chinese- are in denial about a separate Okinawan (in the Chinese case, Hong Kong) identity, even though it most certainly exists. Prominent local Okinawan cultural figures and politicians e.g. Kina Shoei, are quietly adamant that Okinawa is a separate culture and country that happens to now be part of Japan. In a world where decentralization and federalism is coming to even the most conservative holdouts, Japan stands out-yet again-as a clichéd, out of date Land that Time Forgot where every conversation just confirms all the sad stereotypes your bigoted granddad said about Japan, that you (or I) the naïve j-apologist desperately wanted to disprove in your youthful enthusiasm, and then you found out where still sadly, true. You wanted to hear individual opinions but all too often you were handed the hackneyed Party line. With absolutely no compromise, no acceptance of a possible third way, or a non Yamato identity within the borders of the Empire of Japan. Hence the Eye. So they can check everything, Winston Smith! The thing is that social control practices and vigilantism have long been deeply ingrained in the Japanese psyche, since at least the Edo period. Just think of the marvels and effectiveness of 村八分/murahachibu (http://ja.wikipedia.org/wiki/%E6%9D%91%E5%85%AB%E5%88%86), which Japan only officially – and reluctantly – left in the 20th century, but whose spirit remains pretty much alive in the many insidious practices of “surveiller et punir” that anyone who has lived there long enough cannot help noticing (and often suffering). No wonder that fascism has found such fertile ground in Japan, up to this day. The beauty of of it is that it doesn’t even require secret police or party militia or dear leaders. It has been so completely internalised by the populace that every individual – or perhaps I should say every group member – is a potential vigilante, keeping the pecking order and purging any undesirable or unruly elements. Some critics (Etsuko Yamashita, if I’m not mistaken) have coined this garden variety “soft fascism”, because it’s a leaderless ruling system of interdependence in which no one takes responsibility as an individual person, but everyone is invariably punished if s/he dares questioning or deviating a single milimeter from it. Not to derail the thread, but I once suggested (half for fun) to my former J- colleagues that Okinawa should be given a referendum on independence just like Scotland, since I’m sure that the US would be happy to sign a new defense treaty with an independent Okinawa, thus maintains the current military deployment in the region, but relieving itself of its obligations to Japan. Okinawa would be more secure and prosperous, but what would happen to Japan? @ Jim, and how did your J colleagues respond? Let me guess “OKINAWA IS JAPAN”. Ah the joys of the Borg Collective. I guess I’m a bit late to this threat – I used to live in JP for a few years, and sometimes still read Debito to see if anything changes over there. What this describes is EXACTLY how I remember Japanese society – there is this *incredible* conformism. If I didn’t do things like a conservative Japanese person would, I would get lectured; socially ostracized; looked at weird; and sometimes I ran into serious complications & buerocratic trouble. This would extend to absurdly small issues, like swimming at a public beach where one company manager thought one should not swim. “It can get creepy” – absolutely. I do have to say, this is slightly off tangent, that leaving JP was a huge relief for me, not the least due to the release from this absurd system of “The Eye”. I had a major resurgence of my scientific career, got much fitter and made more friends in the first month in the new country (Australia, also not where I was born) than in 5 years in Japan. @Jhonnie Wad, Okinawa was where I was living, it definitely did not seem very open-minded to me, but maybe it’s worse in the mainland. It seemed to me that every native thought I was US military (despite my long hair), which I am not, and that probably did not build sympathies.